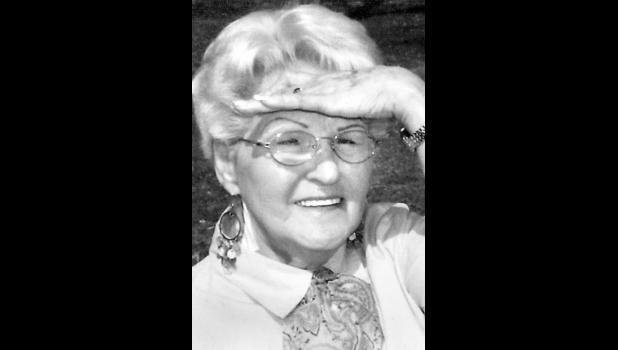 Beulah M. Drews, 81, of Holton, passed away on Dec. 7, 2015. She was born in Dunbar, Neb., to Frank and May Jones Hunt. Having lived most of her life in Kansas, she and Fred Spain married and lived in Leavenworth, where they raised two sons and a daugh­ter. She was an excellent home­maker, seamstress and cook, made beautiful cakes and crocheted af­ghans given as gifts to so many family members. Working as a sales clerk for many years, she en­joyed meeting new people and was always ready for a fun game of Farkle or Uno. She later married Everett Drews, and when he died, she moved to Netawaka. She attended the Wet­more Bible Church and then First Baptist Church when she moved to Holton. She especially enjoyed her Sunday school class and teachers. She was preceded in death by her parents and a son, James M. Spain, on Dec. 8, 2010; two sisters, Flor­ence and Daisy; and her brother, James “Jiggs” Hunt. She also lost three grandsons, Eugene Martin “Bobaloo” Mock, V. Keith Mock and Corey A. Davis. Memorial services will be held at 4:30 p.m. Saturday, Jan. 2, 2016, at New Hope Family Church, Fifth and Iowa, Holton.